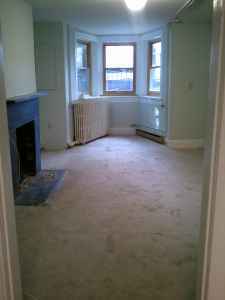 “Holding an OPEN HOUSE viewing, October 27, 2010 – from 6-7pm for this incredibly large basement apartment with a full kitchen and large living room. Additionally, there is a sizeable storage area that can be used for anything from a clothing closet to bike storage. Lots of natural light! In the heart of Capitol Hill, a short walk to either Eastern Market or Union Station Metro. Bus stop runs in front. On street parking is easy to find. 6 mos lease required, then month to month. Available November 1st, 2010. I’m loving the location between two parks. Does $1200 sound reasonable for this studio?